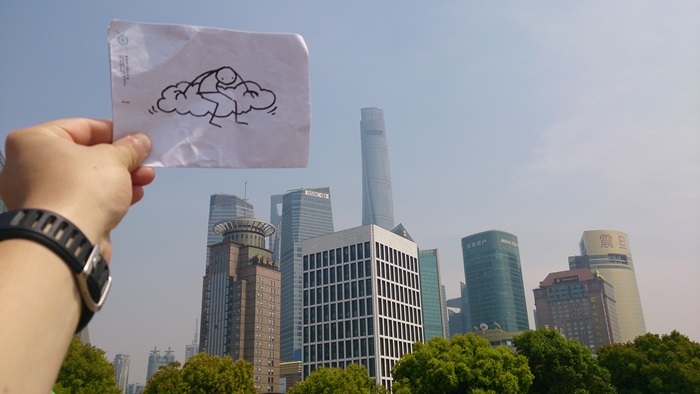 After 70 days of travelling, one should be exhausted, but Elyx arrives in China’s largest city, Shanghai, with unprecedented energy and enthusiasm. The UN digital ambassador knows that the visit cannot be too long, since later today, Elyx’ trip around the world will end in New York at the United Nations Head Quarters with the celebrations of the UN 70 year anniversary! 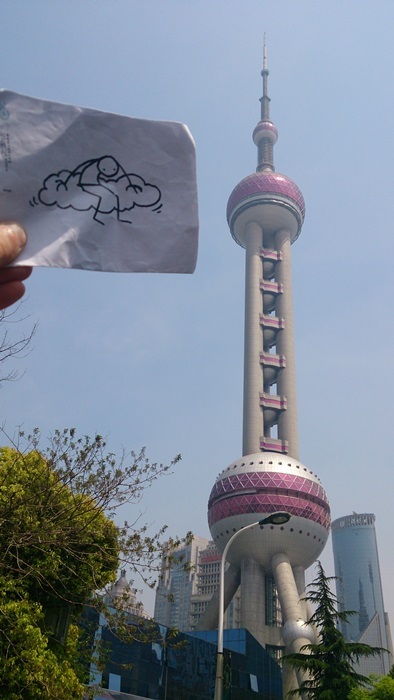 First, Elyx goes to see three of Shanghai’s tallest skyscrapers: the Shanghai Tower of 632 meters, the Oriental Pearl Tower of 470 meters and the Jin Mao Tower of 421 meters. Looking at big buildings is not the only reason for the visit: Elyx wants to learn more about the work of the UN in China, one of the founding members of the UN and a permanent member of the Security Council. Elyx hears about China’s impressive economic progress over the last decades, which has contributed to China achieving the Millennium Development Goal on poverty reduction many years in advance. Today, more than half of the world’s population lives in an urban environment, and there are around 24 million people living in Shanghai. 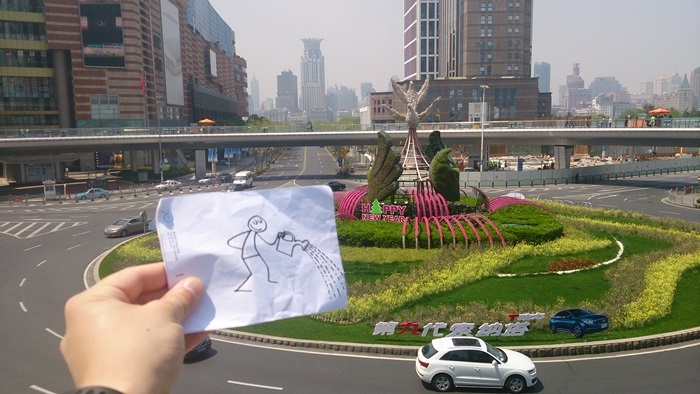 Elyx is happy to hear that the progress is still moving forward and learns that there will be a UNESCO international conference in Hangzhou “Culture for Sustainable Cities” in December this year. At this meeting, they will discuss how culture can contribute to creating sustainable cities, which is Sustainable Development Goal 11. 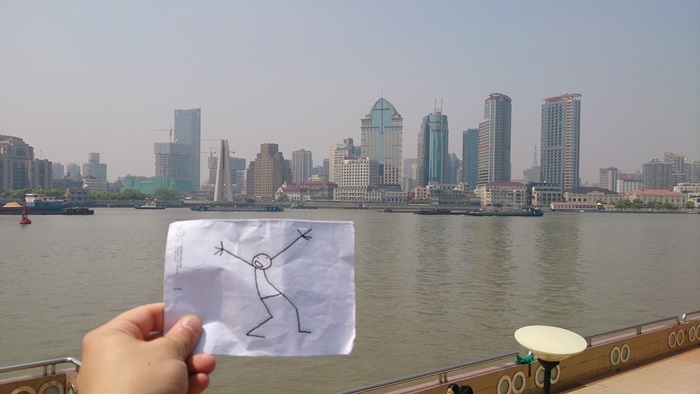 Elyx only got a short glimpse of China and will definitely have to go back – maybe for the UNESCO conference in December? 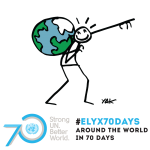 Right now, Elyx has to hurry in order to get to the celebrations of the UN 70 year anniversary in New York later today. Luckily, Elyx is swift as a digital ambassador.